Hey everyone, to attract more people and brigthen up the side we have decided to change the colours and such around. Although the mods and admins have been looking for a new template to use, we decided to ask for help from the members and if anyone here knows of any good templates for vBulletin that are FREE then please do post them in this thread so people can see if they like it or not. or If you have made a template or are willing to make one please also post in here. second. we are also looking for a new logo and if people have any ideas or want to contribute a logo or 2 please feel free to post it in here as a submission. The font used in the current logo is called gunship and can be found at dafont.com. You are welcome to use other vonts except helvetica or any others which need a license, unles the license is free for personal use. If anyone has any question feel free to post them in here. hmm so no one is interested in the site having a new look? meaning we keep the black? Black looks good, maybe because black is my favorite color, but maybe...A reddish marronish shade maynot be that bad either. I am no whiz in these web design stuff though...but I will google it..hehe..
And about the logo...should it be the way it is bow> like the whole name is the logo now rite?...or should it be an abbreviation...or picture that suits the context...? ?...maybe you should make a contest out of this...what say?? I've gotten used to this color scheme, but I wouldn't mind a slight change. While I like the black background, maybe a different color would work for those yellow clickable links, perhaps something a bit easier on the eyes. Having not been much of a contributor since we relocated to the current host I don't know how much license you guys want to give my opinions here, but despite what we're all used to I don't think that the current color scheme (at least) is very friendly to new people... Really, this turns even me off, but I still come by because I've been a proud member of the website for eight years now I think it is. Mind you I'm not proposing making a rainbow background or anything, but I like the idea of a Maroon as a way to warm up the background, I think black is naturally a deflective, uninviting color for people so fewer people feel the need to come back and we lose what's likely an insignificant number of potential contributors because they didn't feel welcome. Beyond that, if things stay the same forever even long term members will get bored, a slight makrover is a good idea in my opinion, just as long as it doesn't change the layout so everyone has to relearn it. 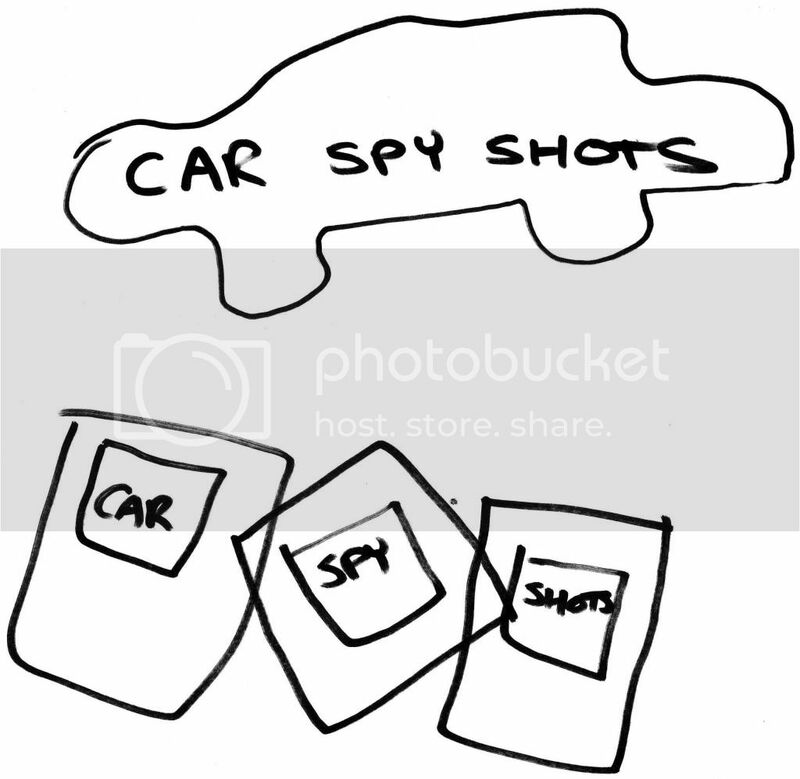 2)) Put a car outline over the words Car Spy Shots; IMO keep it clean and simple don't complicate the logo. Last edited by phaeton; 08-25-2009 at 09:28 AM. Last edited by bm88; 08-25-2009 at 12:31 PM. Andre thanks for the reply, I do agree the black needs to go, and phaeton great suggestions and thanks for the ideas, much appreciated.